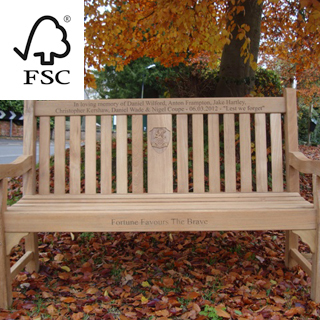 We believe we have the largest display of memorial benches in the UK, we have 14 benches on display at the moment. 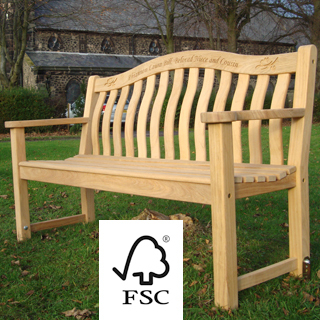 Kensington, Lutyens, Classic, Windsor, Hyde Park, Chelsea, Turnberry, St. George, Malvern, Rose, Half moon, Rustic oak, Rustic Oak (childrens), Broadfield. 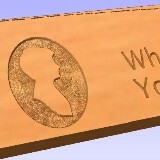 At St. Laurence Church, over the road. 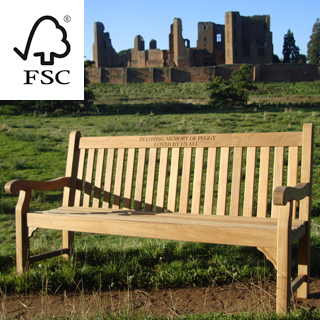 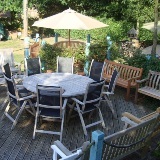 we also have supplied memorial benches of the Britannia 1800 and 1500 types, which can be visited. 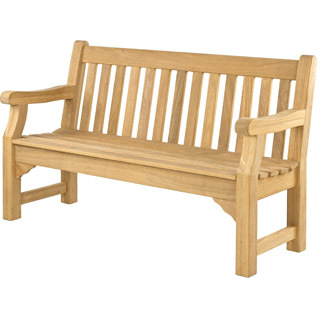 We think we have a unique offering, we are primarily an internet company offering value internet prices but also giving you the real shopping experience through our outdoor showroom, bringing to you the best possible solution for your memorial bench. 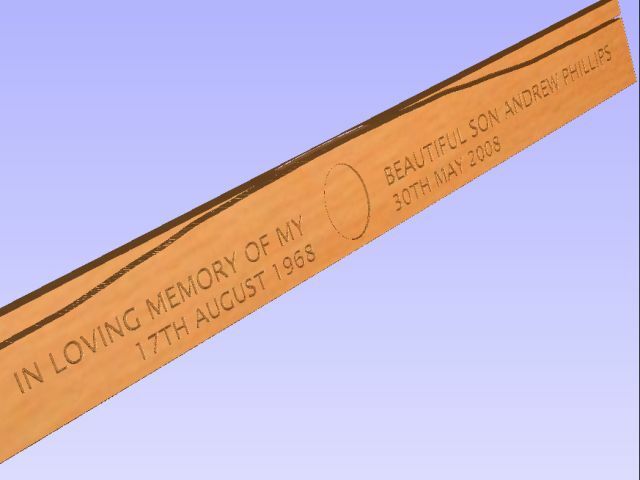 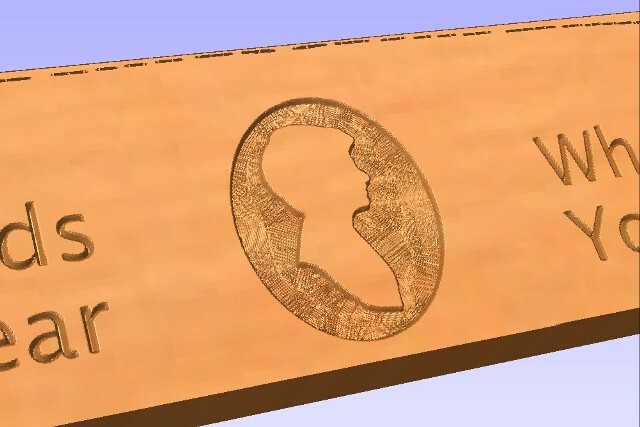 We have engraved, V carve type, lengths of teak with 23 different true type fonts 1 inch high. 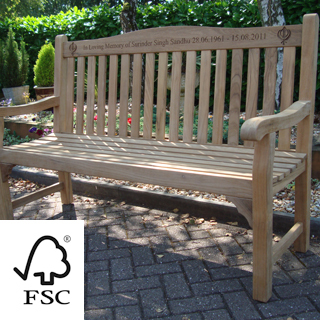 These samples can then be placed in the inscription position of each of the benches. 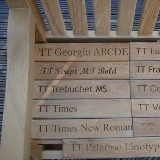 There is no better way to select your memorial bench font. 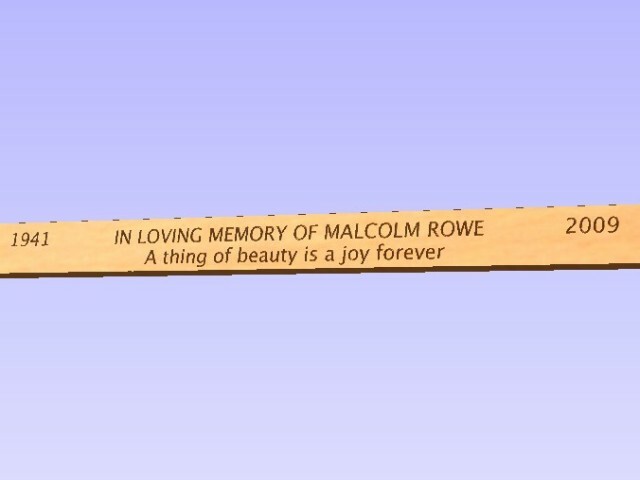 We have our own engraving CNC router which gives you the benefit of fast engravings but also we have a version of the design software installed at the showroom, we can sit down with you and try our different wordings, fonts, sizes, layouts on the bench of your choice. 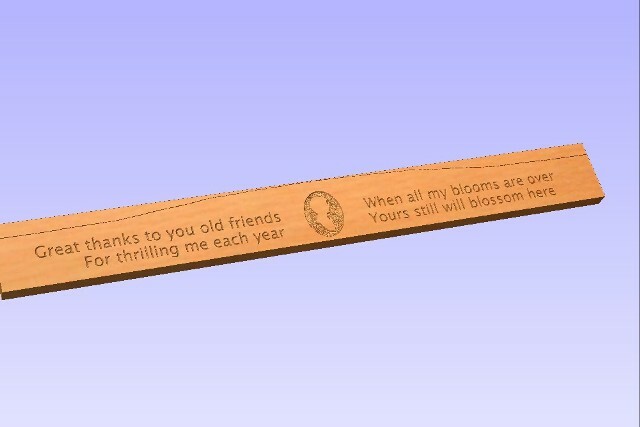 Take away a print out of the engraving to show your friends and family. 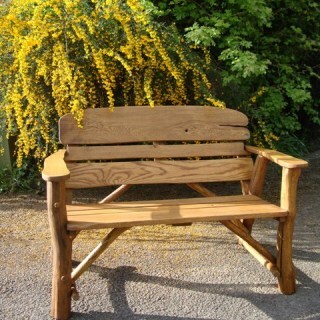 Patina is a sheen on wooden furniture produced by age, the effects of the wind, rain and sun. 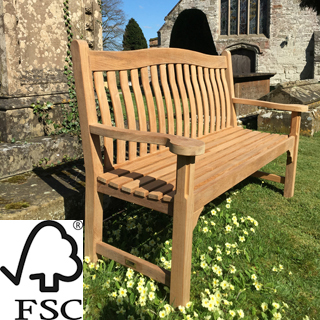 Come and see how teak, mahogony, oak changes over time, the display benches range from "just out of box" to 2 years exposure in the english weather. 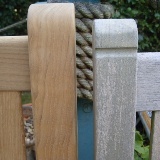 We can explain how to use the golden care wood treatments, the effect they will have.